Parts panel Collection Series Shop of the product until February 27, 2017, your local model dealer or Tamiya shop online please apply at. 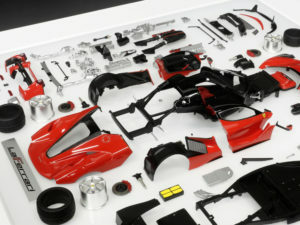 Carefully painted parts of the scale model kit, tastefully layout. It is the parts panel series that we commercialized as a fashionable 3D interior. 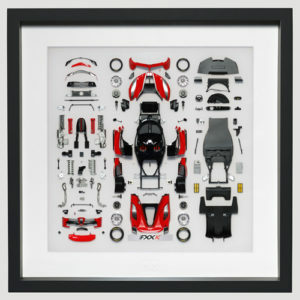 Of course it is not “just arranged in painted parts without assembling it?” Place parts which are not necessarily flat on the sandpaper laid on a glass plate and bond them to the acrylic board of the base after creating bonded surfaces one by one. We are completing it many times over the assembly. 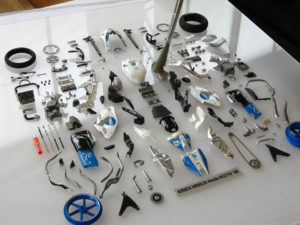 In addition, the parts are repeatedly arranged repeatedly. So it is not too much to say that the finish is called art. Directly produce rooms and garages. Prepare the full size layout data decided by rearranging dozens of patterns until you agree. 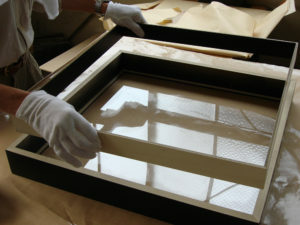 After painting the parts, put sandpaper on the glass plate, scrape the back side one by one to make adhesive surface. While paying close attention, paste the parts according to the layout data. 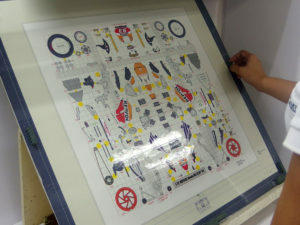 Since parts are three-dimensional shapes, further modifications are made from various angles, such as arrangement balance and color tone of each, to determine final specifications. Dual structure wood frame is designed exclusively. Use familiar embossed mats in paintings and posters framing. It is an important item that makes product spread and depth. Embossed mat embossed Tamiya mark under the center. A mark with a three-dimensional feeling exudes a high-class feeling. 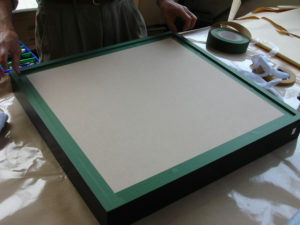 Also fix the backing board with exclusive tacker with the same method as paintings and framing of posters, and seal with green tape. I attached a hanging metal fitting and a hang string convenient for hanging. Product weight is about 5 kg. On the side of the wooden frame, we carve grooves by NC machining, embed Tamiya metal sticker, and produce a high quality mood. Characters on the name plate were etched. Metal texture tightens the finish of the whole panel. 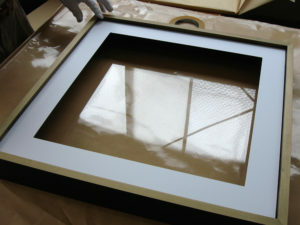 Attach a sticker stating the serial number on the back of the frame. Increase premium feeling. ● handmade goods is dressed with careful work. 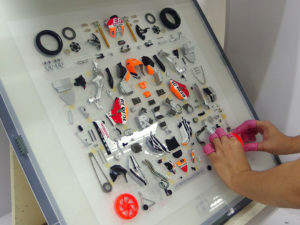 ● Lay out the parts of the scale model with beautiful paint on acrylic board. 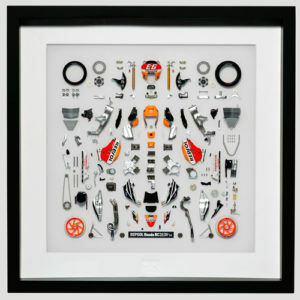 ● Framed items with the same structure as artworks using high quality wood for the frame. 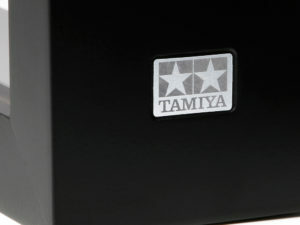 – Tamiya metal sticker was embedded in the frame side after NC processing. ● Etched aluminum with name plate included. 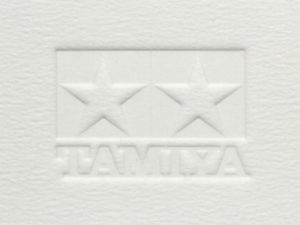 ● Embossed mat embossing “Tamiya logo” in the lower center part. ● “Serial number” was pasted on the back side. 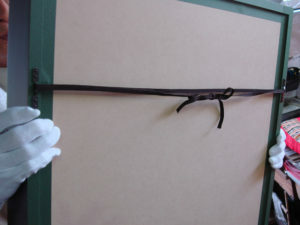 ● Hanging strings for wall hanging are installed. 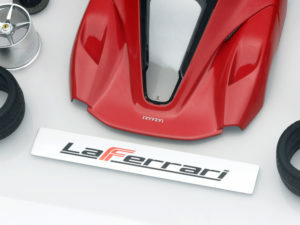 “1/12 Repsol Honda RC 213 V” “1/24 Ferrari FXX K # 10” has appeared! 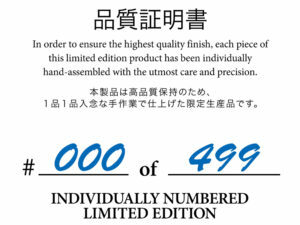 ■ All of this product will be made to order, purchase requires customer’s application. Shop of the commodity your local model dealer or Tamiya shop online please apply at. ■ Order reception will be until February 27, 2017. ■ Delivery of your order item is scheduled for June 2017 or later. This entry was posted in Customized Builds, Future Releases on February 9, 2017 by admin. where can I order this online?